One hot vacation day was spent in Bellingham, mostly at a park on the Puget Sound. Watch out. This one's a heartbreaker. 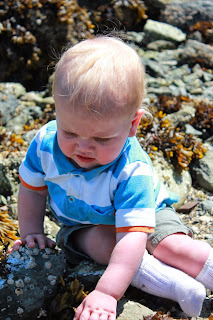 Nick showed the kids how to turn over rocks to find crabs. Even Pierce got to play. Remember how he's my animal lover? 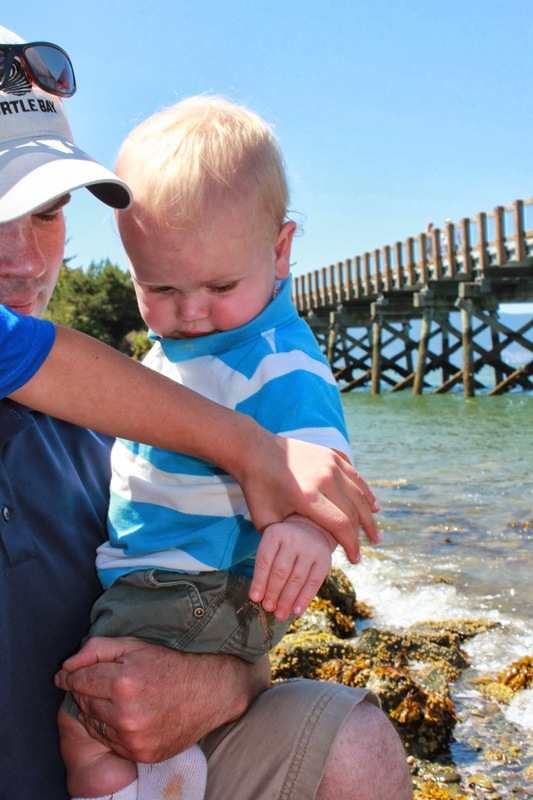 He's holding a crab in this picture. And Bethelle. She loves the creepy crawlies. It was a great vacation. For such a seemingly random place, we really had a great time. It left me thinking how there must be treasures all around us, locally, that we will never visit if we don't look for them. People spend so much time and money on airplanes, when a great time and a new experience can be had just a couple hours away. This summer has taught me not to leave my beautiful Washington during her beautiful summer months.